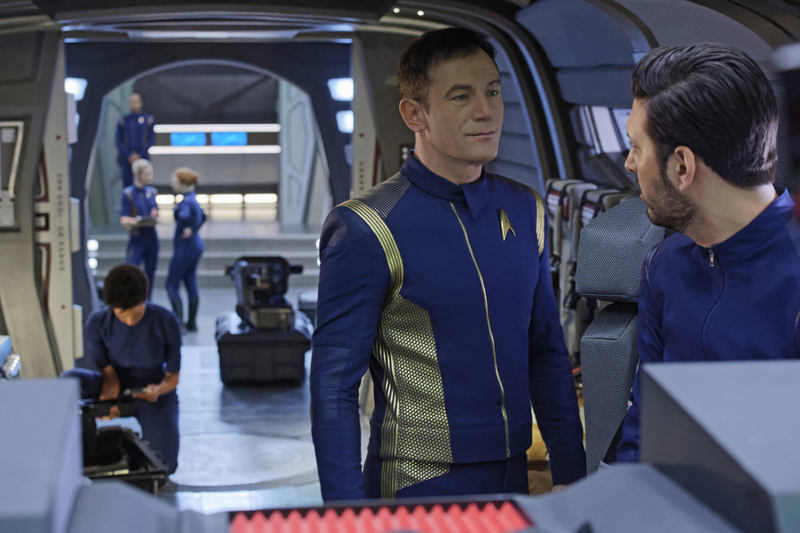 "Lethe" -- Episode 106 -- Pictured (l-r): Jason Isaacs as Captain Gabriel Lorca; Shazad Latif as Lieutenant Ash Tyler of the CBS All Access series STAR TREK: DISCOVERY. Photo Cr: Ben Mark Holzberg/CBS ÃÂ© 2017 CBS Interactive. All Rights Reserved.